heating system. 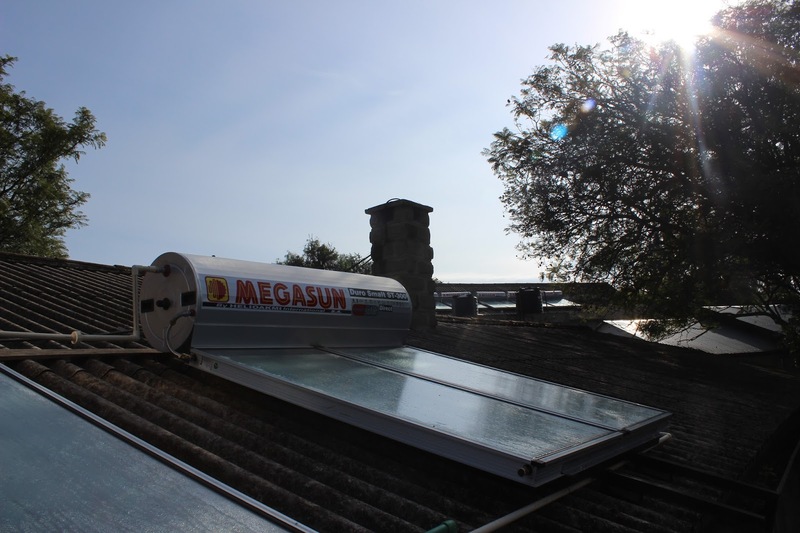 This means that any house with 3 bedrooms or more needs to have a water heating system installed. Those failing to comply with this new rule face a 1 million penalty or even jail time. 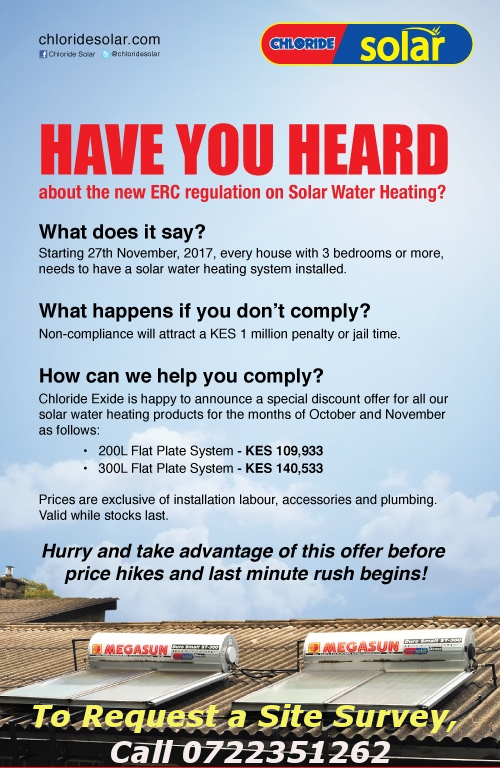 To help their clients with this transition, Chloride Exide have sliced the prices of their solar water heating products for the months of October and November. You can request a site survey by calling 0722 351 262 or sending an email to lilian@chlorideexide.com. For pricing, see the banner below. You got a really useful blog I have been here reading for about half an hour about Bathtub resurfacing this topic . I am a newbie and your post is valuable for me.